Product #5926 | SKU EF2XIII | 0.0 (no ratings yet) Thanks for your rating! To facilitate the accurate transfer of imaging data between the lens and camera body, the extender features an integrated processor which ensures all focusing, metering and ID information is available - allowing the photographer to capture balanced, well-exposed images. When combined with the latest range of premium Canon L-series lenses, these extenders enable AF accuracy even when capturing moving subjects. 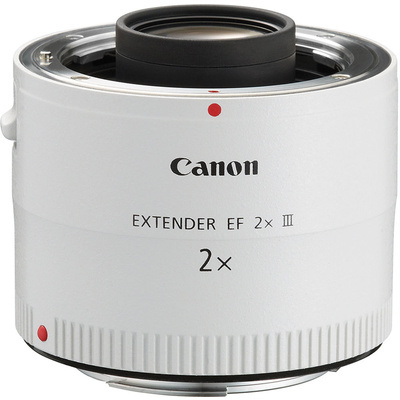 When attached, the 2 x extender reduces the effective maximum aperture by 2 stops.